This book endeavors to fill the conceptual gap in theorizing about embodied cognition. The theories of mind and cognition which one could generally call "situated" or "embodied cognition" have gained much attention in the recent decades. However, it has been mostly phenomenology (Heidegger, Merleau-Ponty, etc. ), which has served as a philosophical background for their research program. The main goal of this book is to bring the philosophy of classical American pragmatism firmly into play. 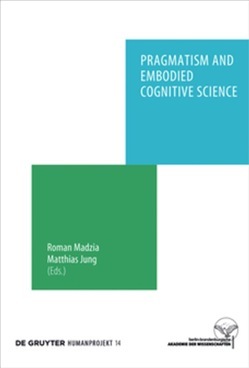 Although pragmatism has been arguably the first intellectual current which systematically built its theories of knowledge, mind and valuation upon the model of a bodily interaction between an organism and its environment, as the editors and authors argue, it has not been given sufficient attention in the debate and, consequently, its conceptual resources for enriching the embodied mind project are far from being exhausted. In this book, the authors propose concrete subject-areas in which the philosophy of pragmatism can be of help when dealing with particular problems the philosophy of the embodied mind nowadays faces - a prominent example being the inevitable tension between bodily situatedness and the potential universality of symbolic meaning. Acquista Pragmatism and Embodied Cognitive Science in Epub: dopo aver letto l’ebook Pragmatism and Embodied Cognitive Science di ti invitiamo a lasciarci una Recensione qui sotto: sarà utile agli utenti che non abbiano ancora letto questo libro e che vogliano avere delle opinioni altrui. L’opinione su di un libro è molto soggettiva e per questo leggere eventuali recensioni negative non ci dovrà frenare dall’acquisto, anzi dovrà spingerci ad acquistare il libro in fretta per poter dire la nostra ed eventualmente smentire quanto commentato da altri, contribuendo ad arricchire più possibile i commenti e dare sempre più spunti di confronto al pubblico online.